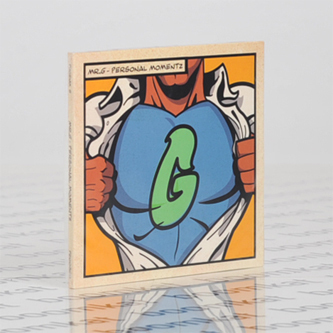 "Mr G returns to his Phoenix G imprint to drop his new LP, 'Personal Momentz’. 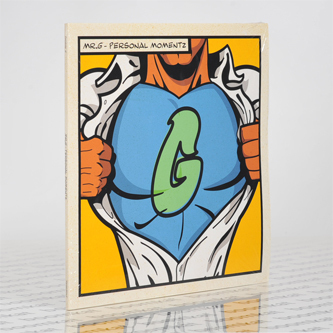 2012's 'State of Flux' on Radio Slave's Rekids imprint was the last full-length from Mr G, along with his 'Retrospective' compilation in 2013 the prolific British producer has spent the last four years delivering stand out singles on the likes of Running Back, Toi Toi and Don't Be Afraid as well as a renewed focus on his own, long running Phoenix G label. The album itself is a sublime deliverance of the sound that has become so closely associated with the UK selector and artist - twelve raw & robust cuts that keep you locked from start to finish. As the title suggests the new project stems from particular inspiration and is best illuminated by the man himself. 'Well, ain't this a surprise? Took me a year to do the last album and this one wrote itself over 10 days - my first times back in the studio ( aka The Heightz) since losing my Dad! As ever with me the music never lies and, through it, you'll see the twists and turns I take - outpouring inner vibez and hoping to get to a new destination .........., what/wherever that may be. These are Personal Moments rough rugged and Raw..... pushing some good air. Ohh, and I can hear the mixer needs a service so yep LoFi. Now I'm feeling as though I can see light showing it rays readying me to do battle again with that thing called life....... Hope you enjoy My collection of Personal Momentz.... Dedicated to those who have lost or in-pain and suffering!"